At txGarage we are dedicated to Texas and the auto world. 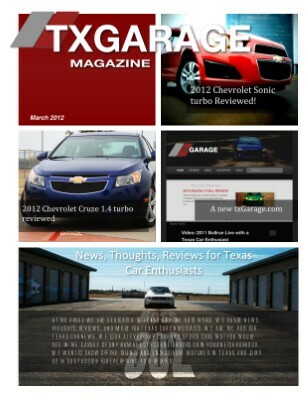 We share news, thoughts, reviews, and more from Texas car enthusiasts. We are the hub for Texas car news. We look at everyday cars and sports cars that you would see in the garage of any number of your neighbors or in your neighborhood. We want to show off the talents and enthusiasm that lives in Texas and joins us in our passion for everything auto related.